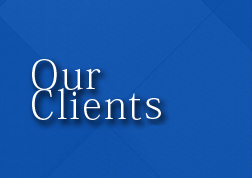 While dealing with its clients, our Firm aims to meet the highest standards of availability, thoroughness and ethics in the legal services it provides. Clients of the Firm include leading regional and international banks and financial institutions, notably one of the largest banks in Lebanon, as well as several companies engaged in risk management, telecommunications, mobile payment services, postal services and insurance as well as several catering companies and hotels, real estate companies, contracting companies, leading businesses and high net worth individuals. Members of the Firm also represent several individuals and entities involved in litigation before the Lebanese Courts.